Melissa 65-inch Acrylic Flatbottom Centre Drain Soaking Tub in White Soft, rounded design meets full-immersion soaking in the Melissa 5.42 ft. Centre Drain Soaking Tub in White. 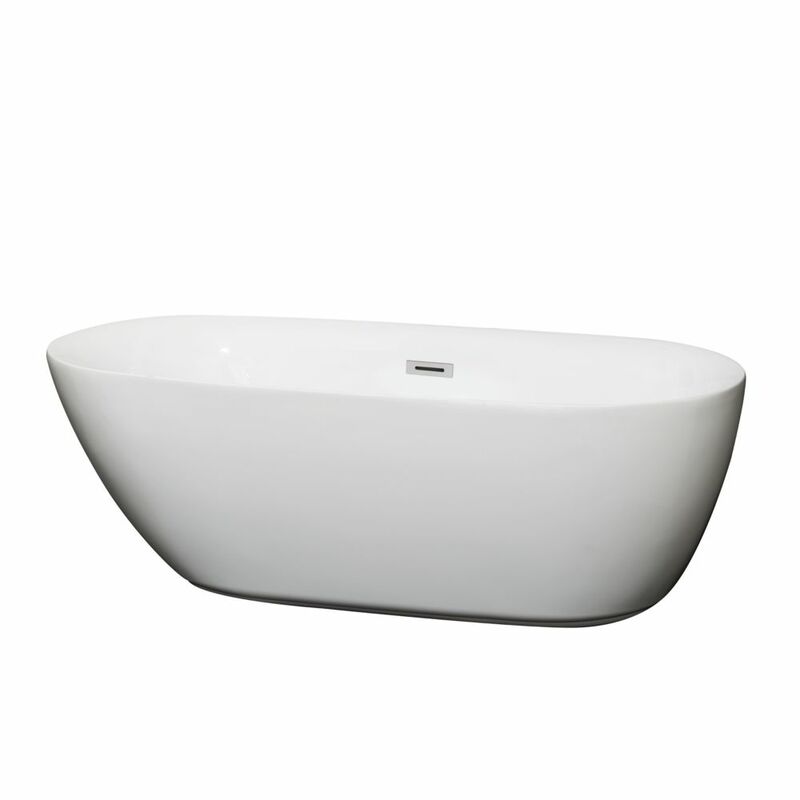 This freestanding bathtub has an oval shape with a different slope on each end to accommodate a laid-back or upright bathing position. Contemporary styling and soft lines contribute to the tub's modern aesthetic, sure to enrich your bathroom ambience and add a hint of serenity. The acrylic construction is strong, light and warmer to the touch than typical steel or enamel tubs, allowing for easy installs and heat-retaining soaks. Chrome-finished overflow and drain outlets are included for a polished look. Melissa 65-inch Acrylic Flatbottom Centre Drain Soaking Tub in White is rated 5.0 out of 5 by 1.